Search Engine Optimization is pretty much everything when it comes to analyzing the intricacies of today’s digital world: it is what allows companies to outrank their competitors in search engines with tools that help them build several strategies, optimize their content and analyze their traffic metrics. We consider of paramount importance the analysis of the different tools that have been developed as of the very inception of the digital age and its subsequent terminology —online reputation management, online privacy, search engine optimization, etc.—, therefore, we consider HubSpot worth analyzing. 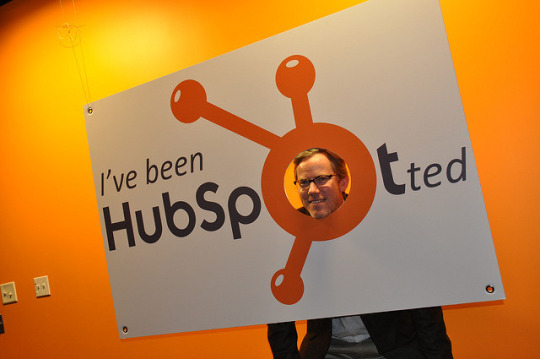 HubSpot, in short, is a developer and marketer of software products mostly intended for inbound marketing and sales; they strive to provide tools for social media marketing, analytics, and SEO. HubSpot allows companies to identify the right keywords and topics to target in their content so they can rank only for those keywords that seem to matter. Besides, with HubSpot, it is also possible to carry out keyword research while receiving suggestions. Thus, companies can realize the degree to which these keywords will help them rank higher and better in the pages of Google results, for instance. The tool is also handy for prioritizing the topics that effectively drive traffic so that business owners and entrepreneurs can come up with well-backed and researched keyword strategies —business owners can track all the keywords that are seemingly relevant to their business in one single and pretty much self-explanatory dashboard, and watch their rankings increase over time as they optimize their content. HubSpot enables businesses to never miss another ranking opportunity —alongside Search Engine Optimization tools build organically into HubSpot content tools, the sometimes-dreary activity of optimizing keywords will always remain top-of-mind. HubSpot provides its users with keyword suggestions and on-page Search Engine Optimization advice in the same place the users are publishing and creating blog posts, landing pages, and site pages. One of the most compelling features is the possibility for users to create optimize content via built-in-to-do-lists as they create it, thusly avoiding uncanny additional plugins or third parties. Besides, since HubSpot uses SSL, users can secure their websites with a much safer browsing experience for their visitors. HubSpot allows the analysis of any SEO metric, which comes in handy in hopes of watching search traffic grow over time. This way, users can measure how many visits, leads, and customers they are actually generating from organic search to their sites. Besides, it is possible to realize who is sending inbound links and keep an eye on competitors and how they are actually ranking for the keywords that a company might be targeting. In short, HubSpot is perfect for modifying existing SEO strategies and coming up with different ones which will allow any particular business to outrank its competition. Many things have been said about these tools that claim to be an «all-in-one» marketing software: however, it is even more peculiar to come across a tool that claims the same thing while living up to the promise. After its inception, HubSpot users seem to be quite satisfied with the range of linking features, reporting and keyword research tools that can be found in HubSpot. This Search Engine Optimization service essentially takes its users by a self-explanatory path whenever they are creating new content. Its dashboard provides a pretty much intuitive step-by-step guide: users get a summary of every metric, such as traffic, leads and page activities. Besides, HubSpot’s platform for on-page assessments includes different Search Engine Optimization tools: one of the best, which is actually a distinctive one, is the call-to-action tool: users have complete control over the customization of any menu. Additionally, users get to retain visitors instead of relying on new prospects. The software has been already praised for its built-in e-Mail manager that allows users to send messages to either an entire e-Mail list or just a specific portion, thusly making it an outstanding tool for link building purposes; however, and unfortunately, the tools does not provide much when it comes to analytics for the e-Mail marketing purpose, yet users can manage subscriptions, track unsubscribed customers and import leads. With HubSpot, link building abilities rely strongly on competitive analysis to pinpoint and detect link opportunities. This is particularly helpful for those companies that have a myriad of competitors; nevertheless, it is advisable to first identify a niche, otherwise, it will be somewhat challenging to come across the best link candidates. One of the most compelling and appealing features of this tool is that its keyword research tool is integrated all across the board: users can research keywords and compose blog post tailored to those specific terms and keywords.